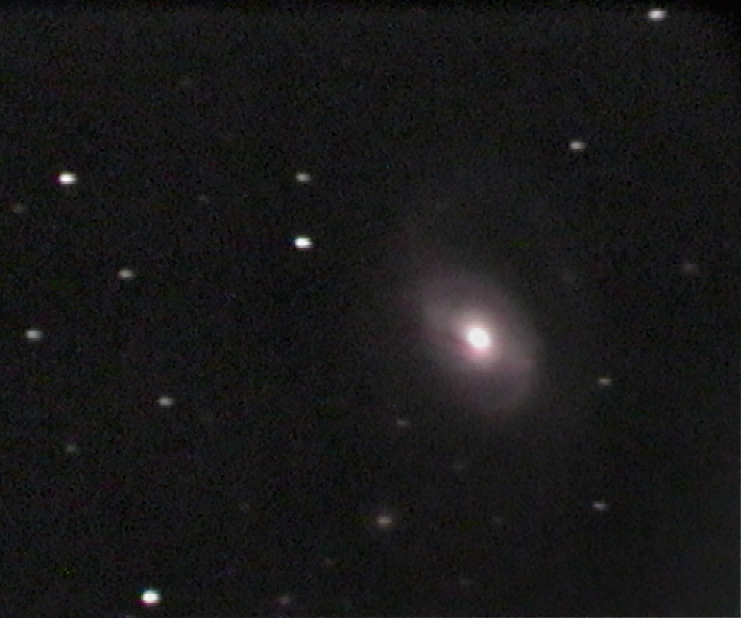 Mike Lancaster captured this image of M96 on the 9th March 2014. It is a stack of six 2 minute exposures taken with a Mallincam Xtreme X2 camera at AGC8, using an MFR5 focal reducer and Astronomik CLS-CCD filter through a 10" Meade LX200 ACF SCT. The images were stacked, cropped and processed in Nebulosity 3, Photoshop Elements 7, Gradient Xterminator and Astronomy Tools. No guiding or dark frames were used.